Convinced that he was on the brink of madness, Curt seemed to be obsessed with one thought that dominated all others for four long years: He needed money, an inexhaustible pile of money, so that he could continue playing the slots. The losses from gambling addiction — defined by mental health professionals as a brain disease at its most elemental form — have become so troubling that the state recently dedicated a total of $15 million for three years to fund treatment programs for any California resident who has the addiction or has been hurt by it, including family members of compulsive gamblers. “They are oftentimes suffering very much. They get depressed and start using drugs themselves,” said psychiatrist Dr. Timothy Fong, co-director of the UCLA Gambling Studies Program, which was is working with the state Office of Problem Gambling to design, develop and evaluate the statewide treatment program. Ironically, Fong said, family members often unknowingly play the role of enablers by continually supplying compulsive gamblers with money while at the same time urging them to stop. “They yell and scream, which makes the person want to gamble even more.” The average debt that gambling addicts accumulate is between $40,000 and $70,000. Gambling addicts make up 1 percent to 2 percent of the population, but that rate is closer to 4 percent in California, almost one in every 25 Californians — a not-so-surprising fact considering that the state is home to approximately 89 card clubs, roughly 100 tribal casinos, the state lottery and racetracks. And, of course, it’s close to gambling meccas like Las Vegas and Reno. The widespread popularity of Internet gambling further exacerbates the problem. “It’s an enormous issue, but an invisible one,” Fong said. While legal gambling has grown into an $8-to-$9-billion business in the state, no state funds were available to treat addicts until July, 2009. With this first infusion of state money, the picture is looking more optimistic. The most hopeful sign for outreach, Fong said, is that nearly 300 licensed mental health therapists are or soon will be part of a statewide network of providers who can treat gambling addiction. Already, about half of these therapists have completed or are currently undergoing training, said Fong, whose center will track treatment services and determine how effective they are. 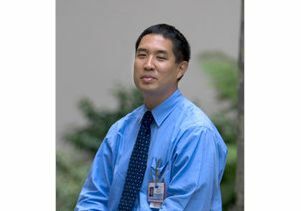 “This is the real ‘meat’ of the services we provide,” Fong said. The network of trained therapists will be available to the public through a directory on the state’s website for problem gamblers. And to help gamblers assess whether they have a problem and what they can do about it, the workbook “Freedom from Problem Gambling,” authored by Fong and Dr. Richard J. Rosenthal, is also available in 19 languages on the site. 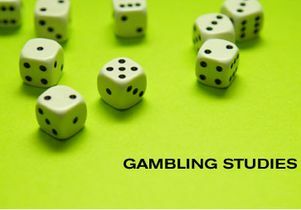 In addition, the UCLA Gambling Studies Program is also providing six free treatment sessions with a UCLA licensed clinical therapist for a research study that will determine the most effective use of therapy. “If we can figure out who responds well to therapy versus those who don’t, we’ll have a much better sense of how to use therapy in the future,” Fong said. UCLA has also contracted with a residential treatment center in West L.A. where gamblers can live for 30 to 60 days and receive intensive treatment. This center also offers an intensive outpatient program that consists of treatment delivered three days a week. Gamblers can even receive treatment by phone through a statewide helpline at (800) 426-2537, (1-800-GAMBLER) by master’s level counselors trained by the UCLA program. They can provide each gambler with six free sessions over the phone. So far, 85 gamblers have been treated this way, Fong said. 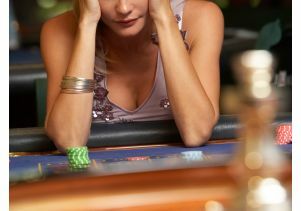 “Gambling addiction has been recognized by the mental health and medical community for nearly 35 years. Without a doubt, we know it’s an actual brain disease,” Fong said. “That’s very different from 20 years ago when people saw it as an issue of morality, creed and lack of willpower. In the course of his treatment at the UCLA center, Curt discovered that doctors now believe that a drug he’d been taking for Parkinson’s disease might trigger compulsive behavior. To find out more about the new treatment program, contact the UCLA Gambling Studies Program at (310) 825-4845 or go online. To access any and all of the statewide treatment services, call 1 (800) GAMBLER.